Microsoft has lifted the curtain on its new mobile search assistant, Cortana, its version of Siri and Google Now. Cortana is part of Microsoft's (MSFT) new Windows Phone 8.1 software, the mobile platform's first major update in 18 months. The "personal digital assistant," has the ability to search the Internet, set up alarms, shift calendar appointments, find restaurants, send messages, place calls and more. Microsoft unveiled the update at its Build developers conference in San Francisco on Wednesday. (Click here to follow our Microsoft Build live blog). Interacting with Cortana is very similar to using Apple's (AAPL) Siri. Push an on screen button, ask a question in a conversational manner, and Cortana will go to work. Like Google (GOOG) Now, Cortana also has the ability to tap into apps and the phone's core services to deliver you contextual information. It can offer the weather where you're located, deliver favorite sports scores, or scan email and provide updates on a flight status or package delivery. Cortana also has the ability to figure out what your habits are (when you wake up, when you're at work, what you frequently search for), and use that information to predict your next move. 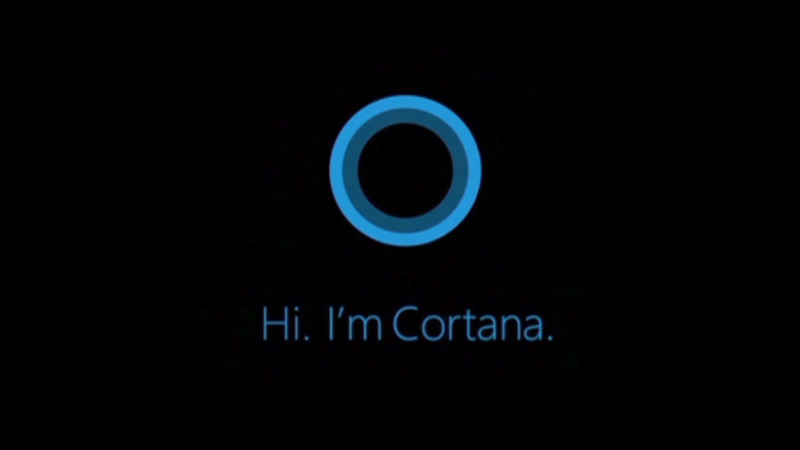 Similar as it may be to Siri and Google Now, Cortana isn't a straight clone either. Unlike the other two services, Microsoft will not only allow third-party apps to utilize Cortana's service, either by controlling apps via voice or fetching data for predictive search. But Cortana has one feature that its rivals don't: Cortana can actually push the results of its searches over to other apps. One such example was using the Bing health tracker app. In a demonstration at Build, Joe Belfiore, Microsoft's Windows Phone design chief, used Cortana to search for the number of calories in a banana. When the results came back, he was presented with option to add the banana to Bing's health tracker as something he ate. Cortana wasn't the only new aspect of Windows Phone 8.1. Microsoft's mobile OS finally (finally!) has a notification drawer called Action Center, which collects text messages, emails, calls and updates from social networks and other apps. It also has quick toggles for things like Bluetooth and Wi-Fi. The visual look of the lock screen and home screen have also been updated, and Microsoft is planning to allow developers to create custom experiences for the lock screen. For instance, the lock screen could one day be entirely dedicated to Twitter (TWTR), or an interface for using Spotify -- without having to unlock the phone. Other tweaks and improvements include an updated calendar app, and power saving enhancements, including a low-power mode for Wi-Fi when its not in use. Microsoft has big plans for mobile in the future. CEO Satya Nadella said earlier this week that the company expects to close its deal for Nokia's (NOK) phone business by the end of the month.